California Maltese Rescue View other Maltese Dogs for adoption. 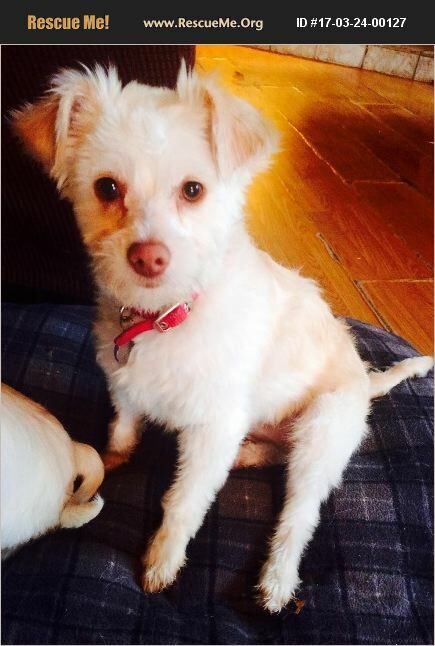 Viola is a beautiful Maltese/ terrier of approximately one and a half years old. She was rescued off the streets of Tijuana two months ago by our foundation. See second pic for what she looked like when we got her. She is now a healthy playful and wonderful dog who is ready for her forever home. Viola must have survived distemper on the streets of TJ, as she has a mild tic in her front paw when she sleeps. We have her on medicine which seems to help. This is barely noticeable and she is super active and playful. Viola would be best in a home with another active and playful dog. We want her in a home where owners are not gone all day. She is spayed fully vaccinated and UTD on shots. Viola is good with all people and all other animals.